There are plenty of apps out there that help people calculate and lower their carbon footprints, but the reality is that most of these apps receive little use — they’re just not that compelling and useful. But a new one, made by startup Oroeco, is trying to make a carbon footprint app that’s more effective and user-friendly, by using behavioral science and focusing on personal spending. The app, which will be launched next week on Earth Day, will tap into financial data from Mint.com to figure out the emissions of a variety of goods and services bought by its users, from groceries to clothing. If you haven’t used Mint before, it’s an addictive app that enables people to track and manage their spending by pooling information from all their financial accounts, including credit cards, loans and investments. The company was founded in 2012 by Ian Monroe, a Stanford University energy and climate lecturer, who has worked on developing life cycle analyses of biofuels and other goods. The name Oroeco combines “oro,” or gold,” with “eco” that denotes both ecology and economics. When the app launches next week it’ll be web-only, but Monroe says they’ll launch a mobile app shortly after. Some of the emissions data from Oroeco may surprise you. 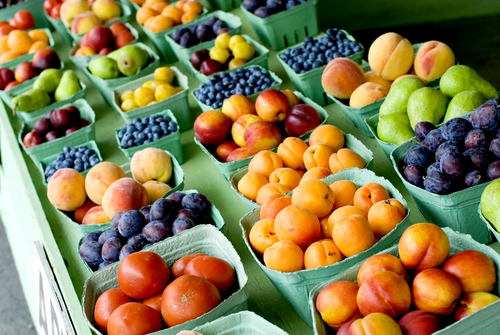 For example, while it would seem like fruit and vegetables shipped in from South America to North America would have a larger carbon footprint than food grown domestically, the miles traveled of your food are actually less of a contributor to carbon emissions than how the food is grown — both the frequency and the amount of fertilizer used. The Oroeco app will not only generate emissions data but will also publish the data on users’ Facebook pages and show how they stack up against their friends, and their neighbors. There will be prizes, such as a Nest smart thermostat (or maybe even a Tesla electric car down the road!) to reward those who, for example, get the most of their friends to sign up to use Oroeco. The company also will offer emissions-reduction tips to its users. The compare-and-compete strategy will seem familiar to those who have followed energy software company Opower’s rise. Opower, which went public earlier this month on the New York Stock Exchange, uses analytics to create reports (online and in print) showing electricity customers their energy use and how that compares with their neighbors’ every month, followed by recommendations to conserve electricity. While it’s not the first to do so, Opower demonstrates the success of using behavior analytics to convince users to conform to social norms. Oroeco is doing the same by tying emissions with spending. The startup is relying on life cycle analyses of things that Americans buy from UC Berkeley’s CoolClimate research group to calculate the carbon footprint. The numbers reflect general estimates — and averages — of the emissions from producing and disposing of a category of products, rather than numbers specific to a manufacturer’s goods. The company plans to add more manufacturer-specific data in the future. Oroeco plans to make money in three ways. 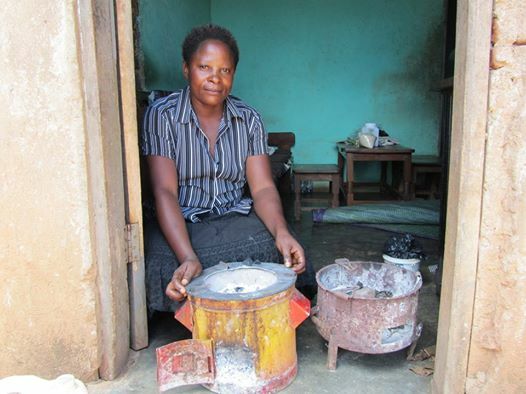 The initial revenue stream will come from selling carbon offsets, which will come from a nonprofit, Impact Carbon, that uses the proceeds to buy and distribute fuel-efficient cook stoves in African countries such as Kenya. The startup then plans to launch a service that will charge between $2 to $3 a month to provide emissions data of a user’s investment portfolio. It’s working with Trucost, which tracks the environmental impact of about 5,000 companies, to launch the service this summer, Monroe said. A third source of revenue will come from selling advertising to companies that could help people reduce their carbon footprint, such as solar panel installers. One of the big challenges for Oroeco will be to sustain its users’ interest in monitoring and reducing their carbon footprint. Unlike what Opower does for utility customers, Oroeco won’t nudge people to check on their emissions via monthly notifications. Getting people to care about problems they can’t see visually — the increasing emissions tied to their actions — is tough. But the growing public awareness of the impact of climate change should spark more interest in using tools that help people make better decisions. I’d recommend not signing up for Oroeco until there’s some kind of OAuth or application interface for Mint. Currently you just submit your Mint login information right to Oroeco. It says the password isn’t stored, but you are infact just giving them your login information. I’d very much like to sign up, but won’t until that’s remedied. Agreed on getting Mint to create some kind of API. It’s not a matter of trusting the technology but trusting the company. The submitting a password which holds all my financial data through a 3rd party domain erks me. Almost 80% of France’s power is produced via nuclear power. And nuclear technology of today is not the same as those old 50’s tech power plants like the ones in Japan the melted down. Some, just as Pebble Beds, can’t melt down, produce little in the way of waste, don’t use water for cooling and so can’t leak it. Personally I think AGW is a crock but I also think there are better ways to produce power then fossiles like coal or oil. CO2 is plant food but fossils are filthy and pollute the environment. It’s simple: Buy from first world, carbon efficient plants. If and only if you care about the environment. If you hate the environment, tax efficient plants with a carbon tax system which either shifts jobs or plant locations to third world “developing” countries where it’s OK (for some reason) to have lower grade plants belching five times as much carbon into the air per unit produced. The West (“first world”) may use more carbon, but it produces much more because of it resulting in the lowest carbon per unit made possible.